Living in the urban cityscape surely has lots of perks — from access to gastronomic delights to simple conveniences and many more. But there’s, unfortunately, a downside to it as well. Did you know that pollution in the city affects not only what’s inside your body but also, and more immediately, your skin? See how Instagrammers Woon Sing and Rachel face the city confidently through their day with LANEIGE White Dew Tone Up Fluid SPF35 PA++ and Original Ampoule Essence. I always start my day with the Laneige White Dew Tone Up Fluid SPF 35 PA++ and LANEIGE White Dew Original Ampoule Essence as one of my essential products. It’s so hydrating & brightens my skin very well. It protects me from any sun damage that can occur from being out and about. Due to the nature of my job as a makeup artist and content creator, I’m exposed to a lot of light from my ring lights and even from my phone. LANEIGE White Dew Tone Up Fluid SPF35 PA++ helps me protect my skin from any further damage. Light is eminent everywhere we go. Plus, from computers to our mobile phones, our lives have become so intertwined with our digital gadgets. But did you know that too much exposure to blue light emitted by electronics can cause damage to our skin? Dark spots, pigmentation and wrinkles are just three side effects you can get. Due to the nature of my job as a makeup artist as well as content creator, I’m exposed to a lot of light from my ring lights and even from my phone. LANEIGE White Dew Tone Up Fluid SPF35 PA++ helps me protect my skin from any further damage. I've heard of the effects that blue light can have on my skin like decreased elasticity, collagen and moisture. 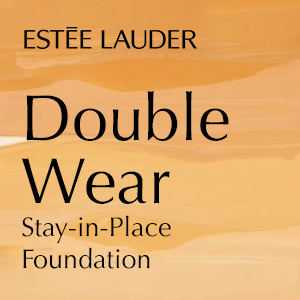 I feel safer about my skin after using the Laneige White Dew Tone Up Fluid SPF 35 PA++. Going out and about in the city sure can be fun. Reaping the bad effects of air and exhaust pollution? Definitely not. Constant exposure to air and exhaust pollution can lead to the generation of free radicals, which makes the skin age faster than it should. Pollution is everywhere, it is unavoidable and it contains a lot of free radicals and other aggressors which can damage the skin in the long term. The LANEIGE White Dew Original Ampoule Essence helps lighten dark spots and brightens my complexion. My skin has always been sensitive weather changes. Being on the go all the time causes my skin to be exposed to lots of air and smoke pollution. This can penetrate deep into my skin and cause dullness. I use the LANEIGE White Dew Tone Up Fluid SPF35 PA++ to help combat the dullness and to brighten my skin. From meetings at work to catch-ups with friends and running errands, long days can sure cause your skin to lose some of the moisture it needs – whether you’re in the sun or in the air-conditioned room. Having dehydrated skin makes it easier for wrinkles to form and for dryness and dullness to take over. The combination of using Laneige White Dew Tone Up Fluid SPF 35 PA++ and LANEIGE White Dew Original Ampoule Essence has really been helpful in our current climate. With the amount of pollution we are exposed to daily, it has really improved my skin texture. It sinks into the skin quickly and doesn’t leave a tacky feeling behind. I really like the tube-pump packaging that dispenses the product without making a mess. My skin looks so much brighter & healthier now after using it and it's great for travel too! 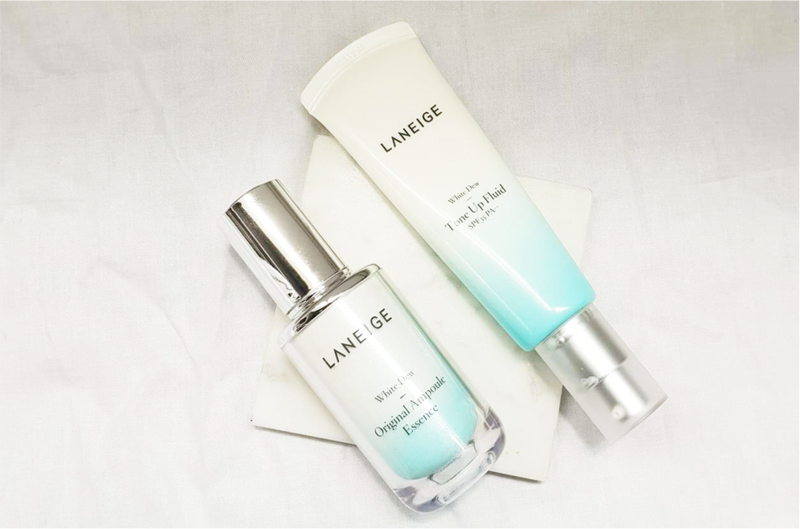 The LANEIGE White Dew Tone Up Fluid SPF35 PA++ and LANEIGE White Dew Original Ampoule Essence are two products that help me with a variety of skin concerns that arise from different kinds of pollution like dark spots, aging and lack of moisture. The first time I used these products I was so pleasantly surprised by the instant glow they gave my skin under foundation. They smell great. Plus, my skin felt moisturised the whole day. 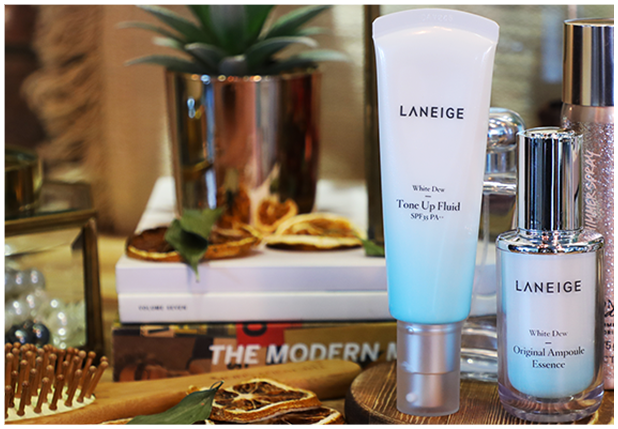 Face all these city pollutions with ease and confidence with the help of the new LANEIGE White Dew Tone Up Fluid SPF35 PA++. It’s a lightweight lotion that protects your skin from light and air pollution while keeping it deeply moisturised. It blocks eight of the most threatening skin hazards city dwellers face daily by forming eight layers of protection on the skin: moisture layer, sebum layer, lipid layer, Saururus Chinensis, UV layer, PM layer, Blue light layer, and antioxidant. These layers form a transparent skin membrane — think of it as an invisible extra layer of skin that protects your actual skin — that shields you from harmful effects for eight hours. Also, it’s formulated with natural and gentle ingredients to ensure your skin is given the care it needs without any adverse effects. That’s not all! It’s free from seven ingredients that usually cause a bad reaction to the skin - animal ingredients, mineral oil, polycrylamide, imidazolidinyl urea, triethanolamine, tar pigment and talc. With its Thin and Fit technology, you can use it as the last step in your skincare routine and you won’t feel the heaviness some sunscreens and other products lend to the skin. Power-packed with Saururus Chinensis extract, together with the skin-soothing, anti-dark spots LANEIGE White Dew Original Ampoule Essence, they’ll keep your skin glowing all day long — no matter how hectic your schedule will be. The LANEIGE White Dew Tone Up Fluid SPF 35 PA++ provides protection against city pollution and nourishment for the skin for up to how many hours? Thank you for your participation, your entry has been submitted. The email provided has already been submitted. The LANEIGE White Dew Read & Win Contest is open to all eligible participants as stipulated in clause (2) below. By submitting an entry to the Contest, you are deemed to have agreed to be bound by these Terms and Conditions. Please read these terms and conditions carefully before you enter this campaign. Clozette reserves the right to amend the Terms and Conditions at any time without prior notice. The Read & Win contest is organized by Clozette Pte Ltd (“Organiser”) in collaboration with AMOREPACIFIC MALAYSIA SDN BHD. The contest and campaign begins on 21 March 2019 and ends on 17 April 2019 (campaign period). It is limited to one redemption per person. The Organiser reserves the right to vary, extend or end the campaign period at its sole discretion, if it does not receive sufficient numbers of eligible entries or if the campaign is not capable of being continued for whatever reason or other reasons pursuant to the Terms and Conditions of this campaign. This contest is open to all participants aged 18 and above (as at the date of participation in this contest). Employees, shareholders, officers, directors, agents, distributors and representatives of the Organiser and each of their respective parent companies, affiliates, divisions, subsidiaries, agents, representatives and advertising agencies are not eligible to participate in the campaign. To qualify for this Contest, participants will have to submit their particulars upon submission of their answer for the contest. The Organiser reserves the right to disqualify any Participant who does not comply with any of the Terms and Conditions of this campaign or if the Organiser is of the view that the Participant does not meet any the Organiser's participation criteria. The Read & Win Contest is open to Malaysia residents only. Participants will have to answer a simple question, fill up the form with their particulars and stand a chance to win a set of the LANEIGE White Dew Tone Up Fluid SPF 35 PA++ and LANEIGE White Dew Original Ampoule Essence. The prizes as listed on the Contest pages may be updated from time-to-time, and are non-transferable, non-exchangeable and there is no cash alternative. The Organiser will make best efforts to contact the Winner via details or the contact email address supplied during the entry submission process. Participants are encouraged to keep their contact numbers active, and to constantly check their email and social media accounts. In the event that a Participant is not contactable after THREE attempts for THREE consecutive days, the Organiser reserves the right to disqualify the Participant's eligibility and the next qualified Participant will be selected. In the event a Winner requires a representative to claim their prize(s) on their behalf, the representatives must bring a letter of consent signed by the Winner, a copy of the Winner's proof of identity, and the representatives' proof of identity. If the Winner or his/her representative is not able to claim the prize(s) within the 3 days, the Winner will be automatically disqualified. The Organiser reserves the right to forfeit the prize or to award the prize to another Participant/Winner. The Organiser reserves the right to publish, use the names, photographs, images and/or videos submitted by the Participant/Winner or of the Participants/Winners for the purposes of advertising, marketing, and publicity, without any prior notice or compensation to the Participant/Winners. Winners shall not be entitled to claim ownership or other forms of compensation on the materials. If for any reason this contest campaign is not capable of running as planned due to any reason not limited to infection by computer virus, bugs, tampering, unauthorised intervention, fraud, technical failures, or any other causes beyond the control of the Organiser that corrupt or affect the administration, security, fairness, integrity, or proper conduct of this campaign, the Organiser reserves the right, at its sole discretion, to disqualify any individual(s) who tamper with the entry process, and/or to cancel, terminate, modify, or suspend this campaign. If the Organiser elects to cancel or terminate this campaign, the Organiser will not retain any rights in the Entries. The Organiser reserves the right, at its sole discretion, to remove and disqualify any Participant and/or entries found or suspected of cheating/hacking/tampering with the campaign submission process, the operation of this campaign or to be in violation of any Terms and Conditions of the campaign. The Organiser reserves the right to pursue legal action against any individual whom it believes to have been involved in fraudulent activities or other activities harmful to the campaign, the Organiser or the Contest submission process. The Organiser reserves the right to vary the Terms and Conditions of this campaign at any time at its absolute discretion without prior notice. In the event of any conflict between these Terms and Conditions and any terms contained in any promotional material for this campaign, the terms contained herein shall prevail. Unless stipulated otherwise, all transportation cost, internet charges, personal costs and/or any other costs, fees and/or any kind of expenses incurred by the Participants in connection with this campaign (whether for the purpose of joining, participating in or receiving any benefit or samples from the campaign) or for the purpose of prize redemption or related travelling are the sole responsibility of the Winner, and the Organiser, its partners, advertisers, sponsors, affiliates, authorised agents or participating agencies accepts no responsibility whatsoever for these costs/charges/fees/expenses. 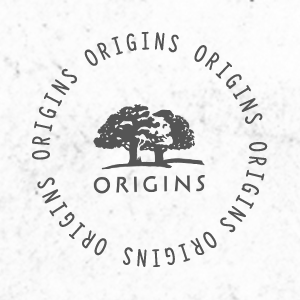 The Organiser, its partners, advertisers, sponsors, affiliates, authorised agents or participating agencies accepts no responsibility for entries lost, damaged, delayed in the post, or due to computer, IT or any technological error. The Participant is responsible for ensuring that his or her entry complies with all the terms and conditions of the campaign, the rules of the campaign and that his or her entry reaches the Organiser in the form required by the Organiser. By entering this campaign, all participants agree to release, discharge, and hold harmless the Organiser, its affiliates and agencies, and their employees, officers, directors and representatives from any claims, losses or damages arising out of or in connection with their participation in this campaign (including but not limited to, any error in computing any transaction, any breakdown or malfunction in any computer system or equipment), any campaign -related activities and the acceptance and/or use, misuse, or possession of any prize awarded hereunder. The Organiser reserves the right to alter or modify these Terms and Conditions at any time without notice. These Terms and Conditions shall be governed by Singapore laws and the participants of the campaign shall submit to the exclusive jurisdiction of Singapore courts. Availability of this campaign in any country is subject to such not being unlawful or restricted under the laws of such country. Your ability to enter the campaign does not constitute any offer by the Organiser to a party in a jurisdiction where the availability of the contest is unlawful or restricted.